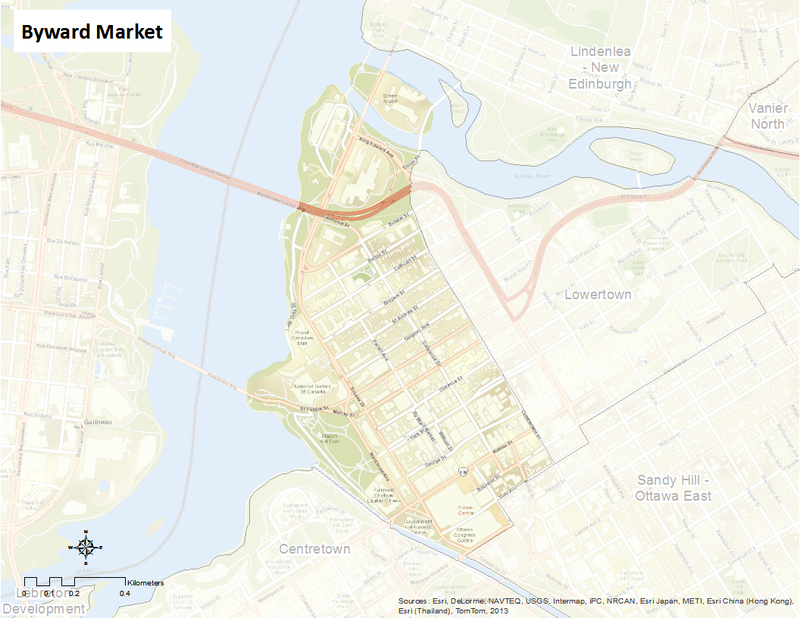 Byward Market is bounded by the Rideau River to the north, Cumberland Street to the east, the Ottawa River to the west and the Rideau Canal and Daly Avenue to the south. This neighbourhood is one of the most recognizable and historic areas in the city, and is considered to be the birthplace of Ottawa. Established by Lieutenant Colonel John By in 1826, Byward Market was developed to accommodate a large public market and gathering place for residents. There has been a strong growth in residential efforts in recent years, opening the neighbourhood as a commercial, industrial and residential hub of Ottawa. Here’s an infographic that describes this neighbourhood as a Village of 100 (2011 data).